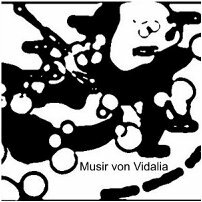 Very little is known about Musir von Vidalia. He is an enigmatic artist hailing from somewhere in Egypt, this much is known, but beyond this very little can be said about the artist's background or history. Fortunately his music speaks for itself, blending the influences of experimentalism, ambient, and electronica into an interesting fusion that we have not heard before. Despite not knowing exactly who this person is, Earth Mantra is very happy to be bringing the music of this mysterious artist to our listeners. We hope that we hear more from Musir von Vidalia in the future.